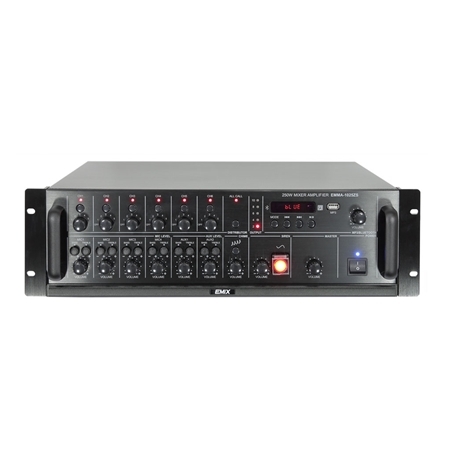 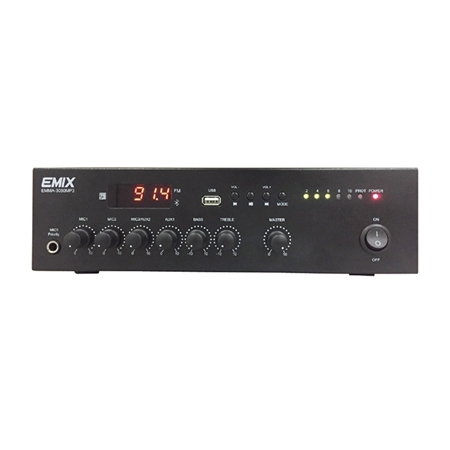 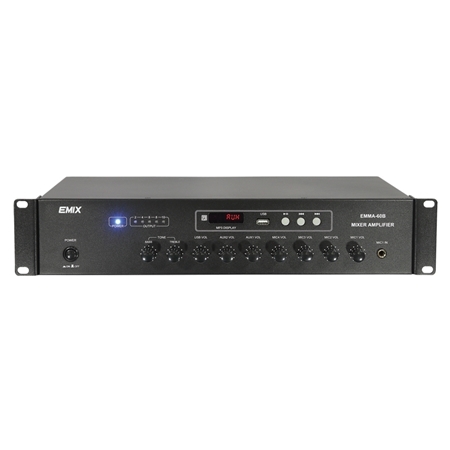 EMIX EMMA-3050MP3 is integrated with a USB player, FM Tuner and Bluetooth for BGM playback. 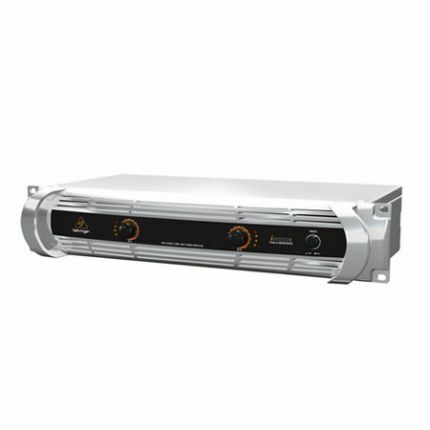 It is design with both high (100V) and low (4-16 ohm) impedance speaker system. The LED output meter is to monitor the output signal level.